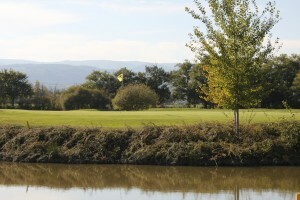 For the first time in its history, the Golf des Etangs at Savigneux (42) hosted on its course redesigned and re-calibrated for the occasion, a Grand Prix. On Saturday morning, there were no less than 80 participants from all over France and Switzerland, with indexes mostly lower than a single figure .Among them, Emma Broze, many times champion of France and Europe, who was favored for this tournament. The sets had kept all their promises and the suspense was provided for the second day; Emma (-1) was ahead of her rival Victoria by only one point. The young Victoria Colin, sponsored by VanDutch , has put forward her talents to the best out of this tournament. 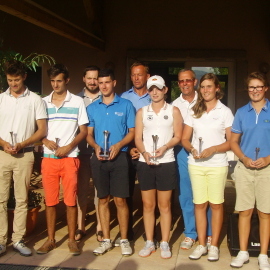 The final score of the first day of the Grand Prix du Golf des Etangs was very tight. On Sunday, the remaining games were terminated and we went straight into the “moving day” .As much in the women’s category as in the men’s, the games were indecise up until the last hole. The latest putts gave their verdict: Emma Broze (139) outran Victoria Colin (140) by one single point. We are very proud of our athlete who walked onto the podium bearing our colors, to grab the second place in this tournament. Yet another achievement to be added to her list which only gets longer. Everything had been put in place to satisfy the players: marshalls of the golf course, water supplies on the course, osteopath at the finish line. The investment, not counting on that of the directors for golf and the association, has made of this first Grand Prix a success landmark in the annals of golf . 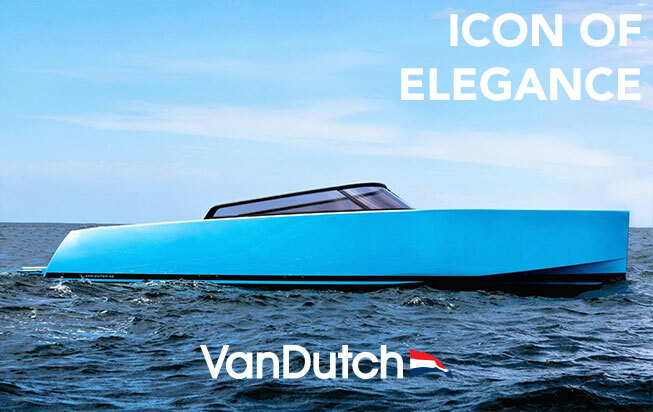 Until next time, for more information on Victoria Colin’s next big tournament, sponsored by the brand of luxury yachts VanDutch .